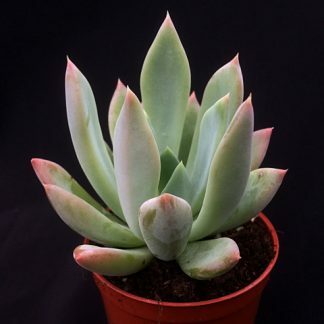 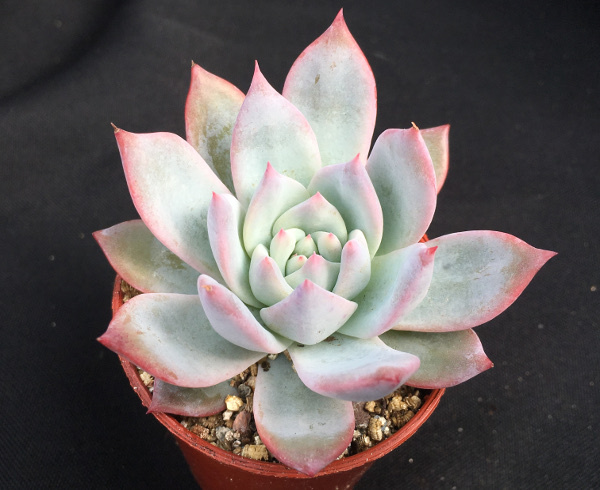 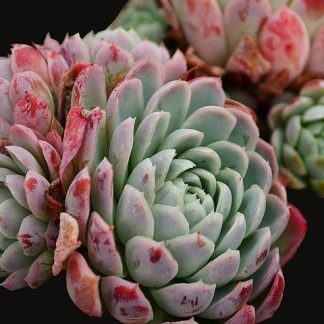 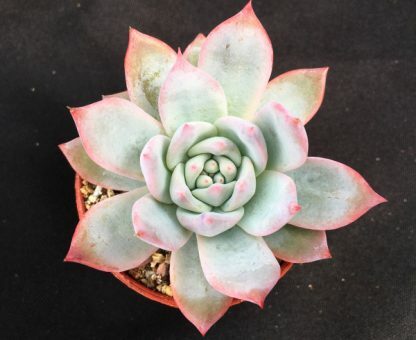 Echeveria ‘John Catlin’ is an absolutely beautiful cultivar, it grows as a solitary rosette with layers upon layers of stunning bluey greyish leaves. The mother plant has been in our collection for many years but we rarely offer this variety, as it uses one of our more specialized techniques to produce babies. 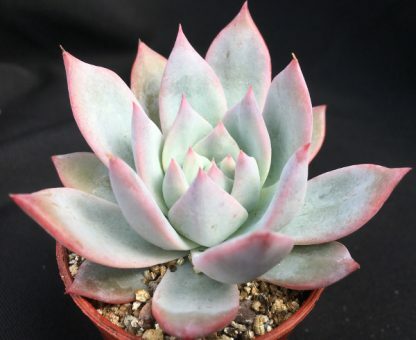 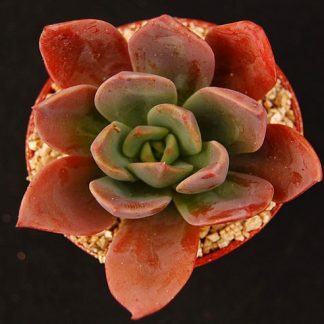 We have seen a few at cactus and succulent award shows and they always score highly with the judges, due to there stunning form and colour when they reach full maturity.